Huawei has officially launched Mate 20 Pro in India and here's everything you need to know about it. 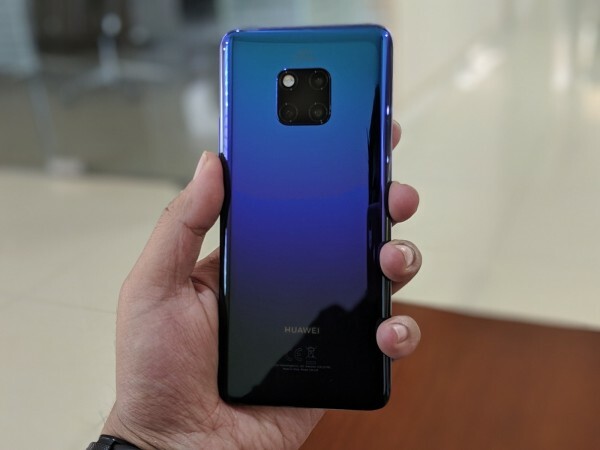 Huawei has finally put an end to all the anticipation around Mate 20 Pro by launching the much-awaited flagship in India on Tuesday. The latest flagship by the second largest smartphone manufacturer brings competition to the elite club of premium smartphones, where people talk about iPhones and Samsung Galaxy phones. Now there's a new lead runner in the race. Huawei unveiled the Mate 20 Pro in its full glory at its New Delhi event. The smartphone sets new benchmarks in the ongoing flagship race, with features that will be perceived as a defining path for future mobile phones. Huawei Mate 20 Pro is priced at Rs 69,990 and goes on sale via Amazon.in starting December 3. There's a special bundle offer, which includes a Sennheiser PXC 550 in the package and it is priced at Rs 71,990. The smartphone will also be available in all Croma stores starting December 10. Huawei justifies the price tag with the bundle of features in the Mate 20 Pro. The smartphone brings several innovative features such as reverse charging, Leica-branded ultra-wide-angle lens, incredible design and more. Huawei Mate 20 Pro doesn't compromise on the looks. It has a glass sandwich design with a unique square 2x2 camera setup at the back, which is inspired by Porsche's iconic headlight design. The 3D curved glass on both sides gives a sleek form factor to the phone, making it handy despite the large 6.39-inch notched display. Speaking of the display, the 2K+ resolution with 538ppi on an OLED panel makes the colours appear bright and vivid. On the rear, Huawei retains its signature gradient finish – something we are starting to see in other phones as well. 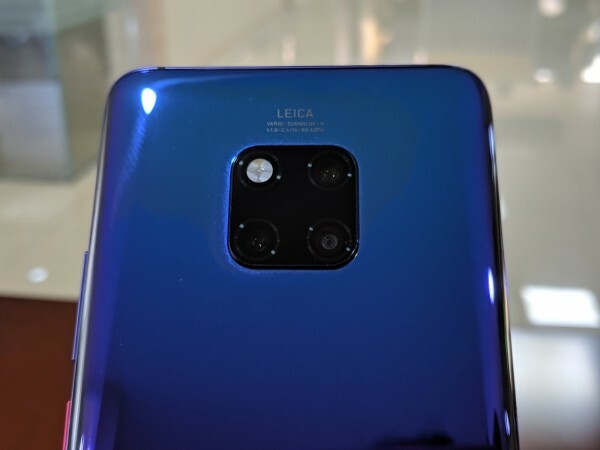 Huawei Mate 20 Pro's design allows the phone to gain IP68 water and dust resistance. The cameras of the Mate 20 Pro stand out completely. The primary Leica Triple camera setup includes a 40MP wide angle lens with f/1.8 aperture, 20MP ultra wide-angle lens with f/2.2 aperture and an 8MP telephoto lens with f/2.4 aperture. There's Master AI integrated within the phone for better imaging, laser focus and plethora of new camera features, including lossless 5x zoom, Super Macro Mode, Night mode, 4K video recording along with AI Colour and Background Blur modes in video and more. On the front, the Mate 20 Pro packs a 24MP snapper with f/2.0 aperture and support for 3D Depth Sensing for quick and secure face unlocking. In terms of security, the smartphone also sports an in-display fingerprint scanner using Dynamic Pressure Sensing technology. Under the hood, the Mate 20 Pro is powered by 7nm-based Kirin 980 chipset paired with 6GB RAM and 128GB expandable storage. This setup not only enables ultimate performance but also brings onboard world's first 1.4Gbps LTE Cat. 21 Wi-Fi for faster downloads and connectivity, advanced GPS and better power management. The smartphone runs on the latest Android Pie-based EMUI 9. Huawei Mate 20 Pro features a 4,200mAh battery with AI power management and 40W SuperCharge feature, which promises up to 70 percent charge in just 30 minutes. The handset's glass back also allows for 15W fast wireless charging. But that's not it. The Mate 20 Pro has a unique reverse wireless charging, when activated, can charge any compatible phone wirelessly.